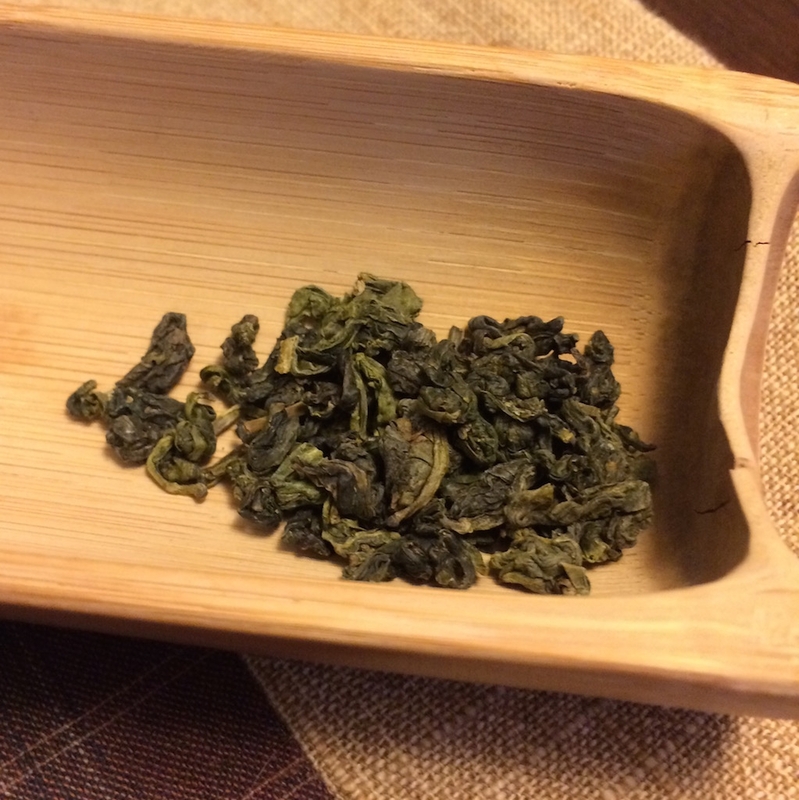 What an interesting oolong that I discovered in a small package I brought back from my trip to California. I remembered good things from this tea, and today’s snowy conditions seemed like the perfect day to bring back some memories of sunlight. The first thing that hit me upon opening the package was the scent. There’s an amazing dry-leaf aroma of pineapple that brings to mind nothing short of a creamy Pina Colada. It’s astounding how fruity the leaves smell, but without any of the acrid or overpowering notes that you’d get with an artificially scented tea (or any scented tea, for that matter). It’s pretty clear that this magic comes from the leaves themselves. Even so, I worried that the liquor might be too strongly fruity to really taste the oolong flavor. Of course, I needn’t have worried. The scent is only part of the overall flavor, which has all the character of a deliciously light-roast San Lin Shi: a hint of pine over a bed of sweet artichokes and creamy spinach. The warm flaxen gold liquor is a perfect counterpoint to this blustery December day. My continued admiration to Peter Luong at Song Tea for his skill at sourcing this unique style. I can’t wait to have a tasting with the other Winter Sprout I brought back. 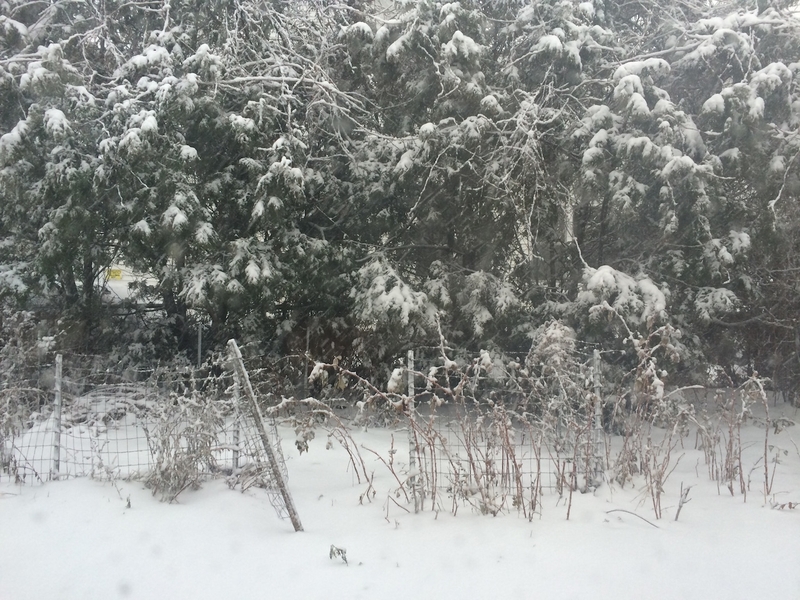 For now, though, I’ll sit back and sip this gentle reminder that even in the depths of Winter there is a little bit of Spring waiting to emerge. 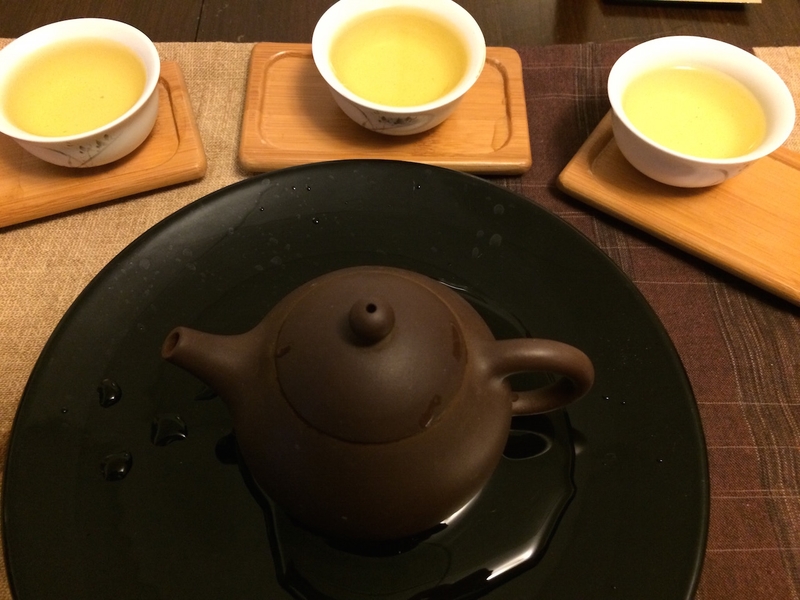 This entry was posted in Tastings and tagged oolong, songtea, taiwan, wintersprout on December 16, 2014 by payton.